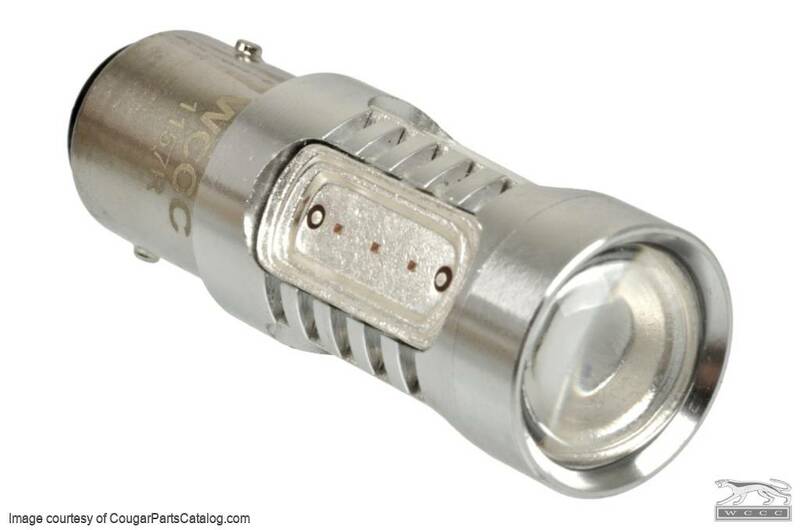 As seen on Gearz with Stacey David - After searching far and wide, to and fro, here and there...we finally found the best LED replacement bulb for your Cougar, Mustang and any other cars that use an 1157 taillight bulb. 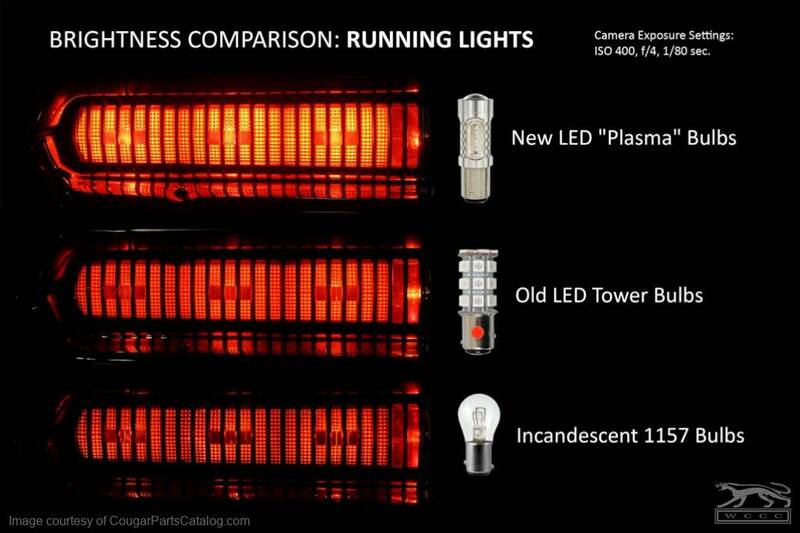 These new "Plasma" LED bulbs are significantly brighter and more efficient than your standard bulbs. 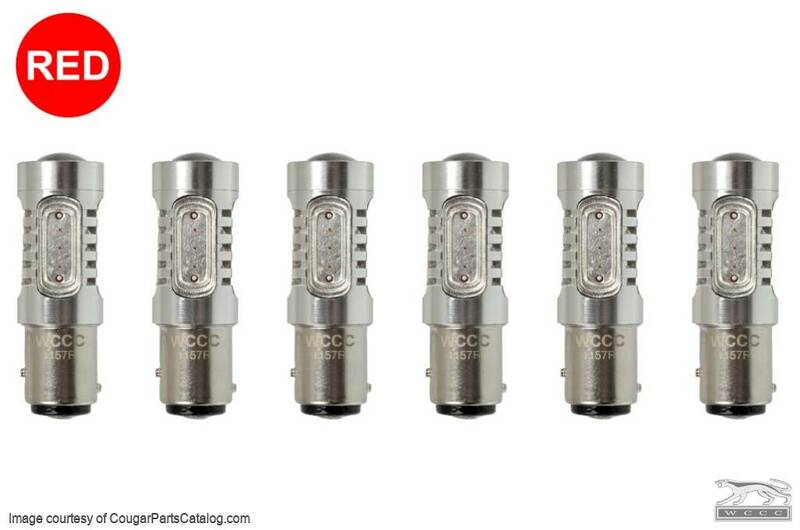 This is a complete 6-pack of bulbs to replace all your Cougar, Shelby, or Thunderbird taillights. We also sell them in 2-packs for other vehicles, as well as 20 packs for those with a larger fleet. We're also told that these will work as replacements for 2057, 2357, 2397, and 7528 bulbs, but haven't tested ourselves to verify. Let us know if you find out! 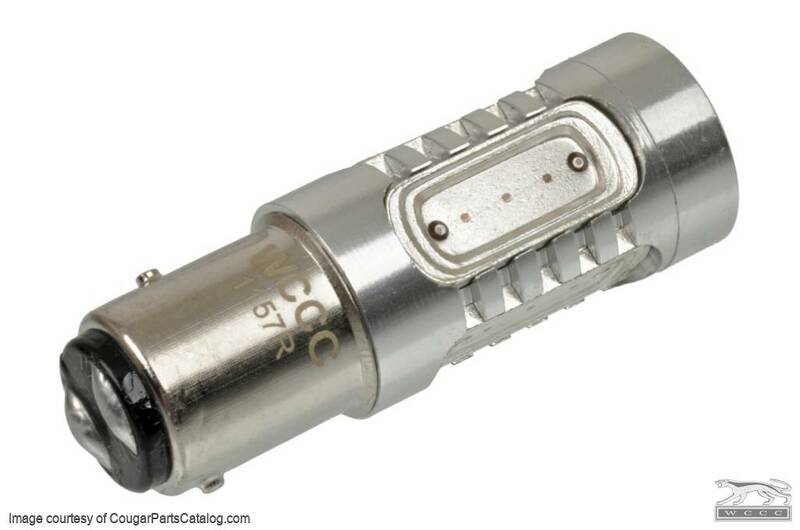 1967-68 Cougar owners: you're lucky; these will work in your car with no modifications. As you seen in the video, they work fine right out of the package whether you have the new and improved solid state sequential unit or the original mechanical unit. 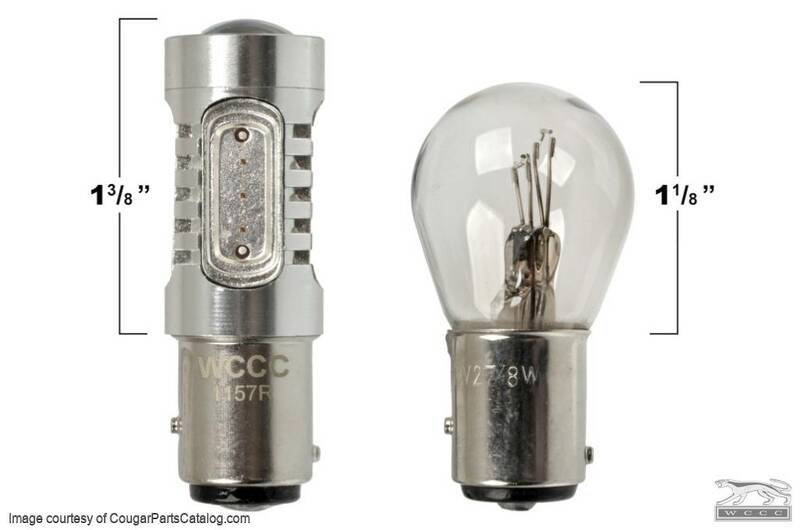 We should let you know that there is another bulb on the market coming from China and marketed on ebay that looks virtually identical to our bulb. We have tested the competitions' bulb and find that it looks and fits just like ours but the brake light function is noticeably dimmer. 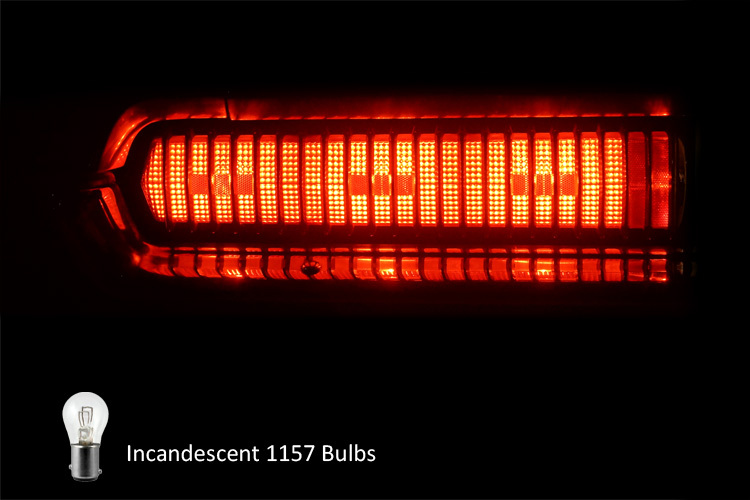 There has been some discussion on whether or not one might encounter some attention from law enforcement due to the shockingly bright brake light function of these bulbs. Based on our experience, our conclusion thus far has been that this should not be a concern. Here are some excerpts from NHTSA documents: DOT HS 811 127 and DOT HS 811 329. "Data suggests that failure to respond (or delay in responding) to a stopped or decelerating lead vehicle is generally a result of distraction, and in particular, improper allocation of visual attention. Thus, VTTI’s approach to the rear-end crash problem has argued that a successful rear signaling system would work to redirect driver visual attention to the forward roadway (for cases involving distracted drivers),"
"Rated discomfort glare is closely related to rated attention-getting. It appears that it is necessary to accept somewhat greater rated discomfort glare to achieve greater attention getting. Here again, the result is the same as for earlier tests with incandescent lamps, which showed a near-identical ordering for discomfort glare and attention-getting for various enhanced rear lighting systems. " Interactive image: Simply move your mouse over the image below to see a before / after comparison. These are the best cost/installation/benefit tradeoff since my parents bought me a pair of snow tires in 1969 in upstate NY. Their brightness and color is perfect and uniform across all 6. In addition to the obvious visibility benefits for vehicles to your rear, you may find yourself operating your turn signals in the driveway so you can hop out and dig the view from out back. 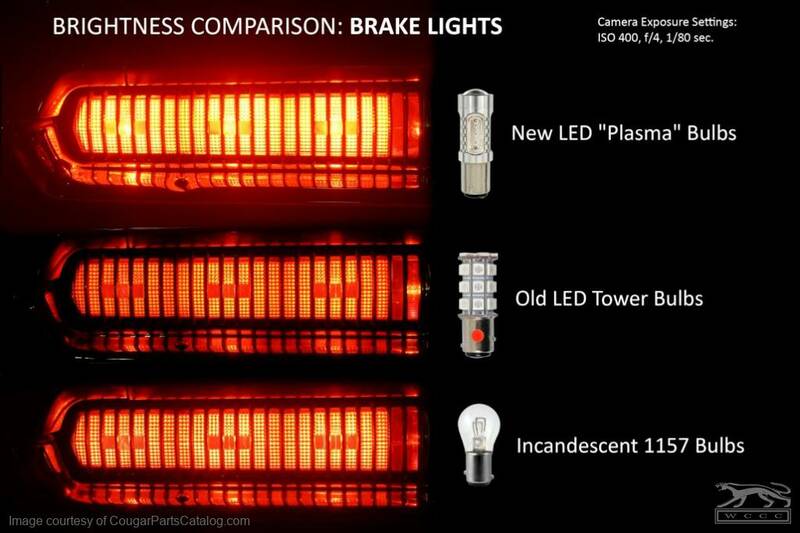 The light they put out is perfect, much brighter and more like a modern car with halogen or LED tail lights. 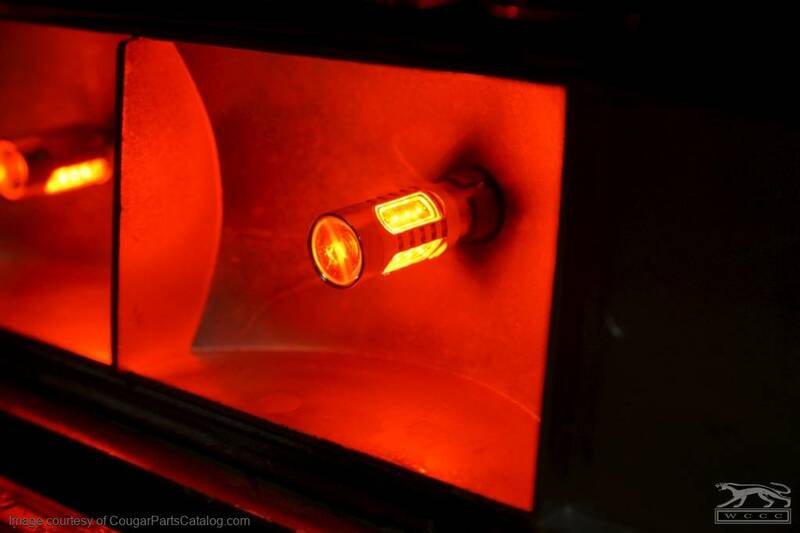 Unlike incandescent bulbs, brake and turn signals are easily seen on a bright day. Install was easy and they fit the existing sockets perfectly. 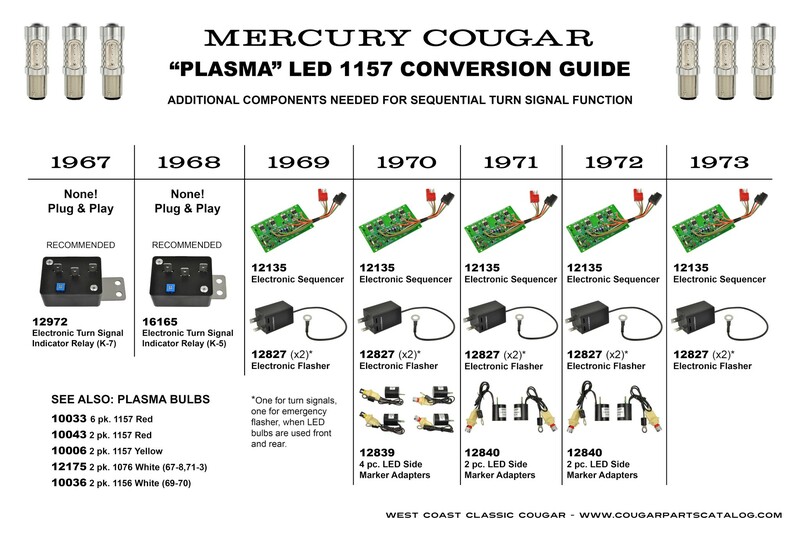 I put this unit in my 1970 Shelby along with the flasher and plasma bulbs and all I can say is...WOW! I don't have to worry about other drivers not seeing my directional or brake lights. Very easy to install and I would highly recommend it. Absolutely Brilliant - literally ! Vastly brighter than original tungsten bulbs, and much more visible. My tail lights are nice and bright. I feel much safer with these than the dim incandescent bulbs. You just have to make sure you switch the flasher cans, sequential unit and sidemarker light kit so they are all correct for the Plasma LEDs.